It's amazing how good planning can yield an excellent living area in a tiny space. By making every square foot count, you can create a living room, kitchen, bedroom, bath and closet in a storage shed. The secret is using wall space effectively and planning each detail. Because the house is tiny, creating a beautiful space is affordable. Using recycled materials can add to your savings. A so-called tiny home usually works best for someone who's living alone, but a small house is also an option as a vacation getaway. 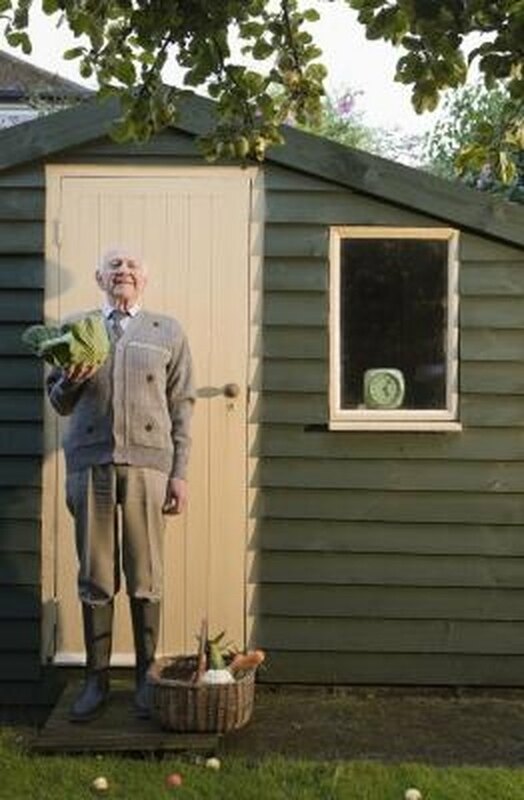 Even a very small shed can be converted to living space. Repair the roof and foundation. Fix any cracks or leaks. Add new roofing plywood and shingles, if needed. Check the ground thoroughly to make sure the foundation has no moisture problems or loose soil. Insulate and frame the walls. Run plumbing and electricity as needed. Replace single-pane screenless windows with double-pane windows with screens. Build a small bathroom. Install drywall. Paint the walls and trim with semi-gloss paint. Build in a small bathroom. Create a kitchen in the smallest space possible, along a portion of one wall. Add a counter, a sink, open shelving and dorm-size appliances. Finish the interior. Lay flooring, such as hardwood or tile. Plan to buy a couple of free-standing heaters to add warmth to the space when it's cold. Purchase oil-filled radiator-type heaters, which are energy-efficient and require only 110-volt plug-ins. Furnish the tiny home as minimally as possible. Instead of a bed and sofa, use a daybed or a sofabed. Make furniture do double-duty. A table can double as a desk. A small ottoman can serve as a footrest, table, guest seating and hidden storage. Install adjustable wall sconces for lighting to eliminate the need for table or floor lamps.